Michael T. Young: Thank you, Djelloul, for agreeing to an interview. You were a journalist for many years. Your first collection of poetry came out in 2008. How do you think your many years as a journalist influenced your efforts as a poet? Djelloul Marbrook: I started out at The Providence Journal-Bulletin as a reporter-photographer, so it heightened my perception of place and circumstance. I had to notice people and their circumstances more closely, not as a matter of survival, in the manner of a battered child, but as a professional observer whose work depended on noticing what others missed. For example, there came a time when a wealthy blue-blood WASP decided to contest our Irish-American governor in a primary. The newspaper was hostile to the governor, as it was to most Democrats, but in my personal encounters with the governor I noticed that he took notice of the ordinary circumstances of ordinary people and interrupted his schedule to engage them, while the patrician noticed only the most important hands extended to him. On another occasion I came late to a horrendous house fire. It was raining. The headlights of the emergency vehicles made each raindrop a kind of candlelight. Under the circumstances a decent photo was almost impossible. But I walked around and saw a man in a bathrobe holding a cat and consoling it. It was the owner of the house. Using the police headlights I photographed him from his starboard stern quarter. The photo ran six columns in the next evening paper and it won an Associated Press prize. So yes, my experiences as a journalist have had a profound influence on me as a poet. But there was more to come. When I went to work as a metro editor for The Elmira (NY) Star-Gazette,a heavily unionized newspaper, the composing room people knew I was a sympathizer and they allowed me to hold sticks of type in my hand. There I was among these fellow unionists holding words—words!—in my hand. It was an alchemical experience. By then I was writing headlines and thinking about Walt Whitman working at The Brooklyn Eagle. Headline-writing had a profound effect on me. You need terse, muscular words to convey ideas. You intuitively understand the nature of line break. And you know, if you’re any good, that a good headline has a certain meter. You whisper it to yourself as you compose it. How does it sound? “Yale’s Viking Map Knocks / Wind Out of Columbus’ Sails”—I wrote that two-column 24-point headline for The Baltimore Sun. It won a prize. Or consider this banner headline: “Fleet steams, Qadaffi Fumes.” But there was a downside to journalism that I would have avoided had I remained a sailor. The press composes the authorized version of everything and is insufferably smug and uninquiring where it should be inquiring. The press is a prime conveyor of the dread received idea. Only in old age have I been able to make this understanding work for me as a poet. Michael T. Young: Brushstrokes and glances opens with the poem “Shabtis,” the Egyptian figurines in funerary rites. Throughout the collection, the dead and ghosts appear. What do you see as the significance of the dead in the collection? What are they to bring our attention to? Djelloul Marbrook: Death is in some ways incomprehensible to a child. Having said that, let me go back to my infancy. My mother’s story was that my father had been fatally shot in a hunting accident while she was pregnant in Algeria. She later embellished the story to say a cousin may have shot him and called it an accident. But in truth he lived until 1978. So I had to deal with this death myth. When my mother took me to Brooklyn via London in my infancy she left me with her younger sister, Dorothy, and her mother, Hilda. Understandably I bonded with them. Dorothy was my idol. I was crazy about her. She used to take me skating. She made an orange-crate scooter for me. At age five my mother took me away from Dorothy and Hilda, away from my nanny, Peggy O’Connor, whom I also loved dearly, and sent me to boarding school. Nobody explained why. Several years later I was told Dorothy had died. So now I had two deaths to fathom, and I couldn’t. As for the shabtis, we lived near the Brooklyn Museum, which has a famously good Egyptology department. That’s where I encountered the shabtis. I drove Peggy to distraction with questions about the shabtis. How were they? Did they have enough to eat? Where did they sleep? She and her brother Junior took me again and again to see the shabtis. I dreamed about them. I think in a certain way the people I lost, the people my mother was always separating me from, became shabtis. They guarded me, they accompanied me into the netherworld. As I grew up the list of shabtis became quite long. But I was afraid to go back and visit them because I felt somehow I had betrayed them, I had abandoned them. They had been everything to me and I had failed them. So I was always failing as I grew up. Poems consoled me. I could see loss in them, betrayal, courage. Michael T. Young: The poem “Francisco de Zurbarán” says, “I mourn for what the dead give up;/they mourn for what I fail to see.” Do you think this failure to see could be corrected? Do you think non-artists could benefit from a basic artistic course in how to see with the focus and precision of an artist? If so, in what way would it help? Djelloul Marbrook: I’m hot for this question, Michael, because I’m in the midst of a project of learning about poetry from my camera, just as I’ve spent a lifetime learning from paintings. My mother was an artist, and so was my Aunt Irene (I. Rice Pereira, the geometric abstractionist whose painting is on the cover of Brushstrokes and glances). The Navy taught me photography, although it wasn’t my rating. I was first a boatswain’s mate and then a journalist. Recently I bought a compact camera capable of taking RAW images. The RAW image contains thousands of details the photographer doesn’t see in his viewing lens when he clicks. They can be introduced to the final image in computer software. This, for me, is a powerful metaphor. We always take in more than we’re capable of processing at the moment. That’s true of the painter, too. And it’s true of us when we view the painting. There are thousands of recognitions awaiting us. But as we enter into these recognitions, as we engage them, we must also engage the artist, not what we know about him but what we intuit from the work we behold. Did Jan Vermeer love the maid with the pearl earring? Almost certainly, but that over-the-shoulder glance at him, what about it? Is it the very moment at which the girl herself recognizes the artist’s love? Or is it, as someone has suggested, the moment Jan’s wife enters the room? We don’t know. We don’t have to know. But we do have to know something, something we choose to inspire us, to enlighten us, to amuse us. I have always talked to paintings, and they talk to me—some of them, anyway. Some remain mute, perhaps knowing I don’t get them. Historically, especially in the Francophone world, there is a long tradition of artists and poets interacting. But I think poets would benefit incalculably from more contact with musicians, scientists, athletes and others. This was one of the splendors of the Convivencia in Arab Spain. So many of its Arab, Berber and Jewish poets were also astronomers, doctors, mathematicians, because the Arabs tended not to pigeonhole the disciplines the way we do. They saw no reason, for example, to parse alchemy from chemistry; alchemy is merely an adaptation of their word al-khemya for chemistry (khemya) with its article (al). This is why they were able to discover that surgery requires perfect antisepsis—their most brilliant minds spoke with one another, and their most advanced disciplines were often married to poetry in one skull. Michael T. Young: The poem “Picasso’s bull,” opens with “We need a museum to show us/we can unbind our captive lives.” What do you see as the source of our captivity, what’s its nature and what is the means of our release? Djelloul Marbrook: I think we live in a world of authorized versions, of Flaubert’s received ideas. No Child Left Behind is a perfect example. We tell the child what to learn, not how to learn. But museums are about how to learn. They open vistas. They’re hospitable laboratories for our own wildest speculations. At least that’s what the best of them are. What is Gauguin doing in Tahiti? Why does Corot return over and over to Ville d’Avray? Is Caravaggio angry, is he mad? Museums are in many ways what our schools ought to be, like the Montessori and Waldorf schools. They guide us. They suggest meanings. They give us history. But we’re on our own when it comes to arranging what we have recognized in our own minds. Increasingly we go to schools to have the furniture bolted to the floor, to have the windows barred. But in museums we rearrange the furniture of our minds. Perhaps more importantly, we are reassured that beauty and the individual’s way of perceiving it is crucial to life. Nothing is dying in a museum—everything is coming to life. But that is not what our pedagogical ideas of education are about. The press and the politicos and the corporados are our captors. They’re invested in our seeing things in certain ways. The museums are invested only in our seeing things. They’re helping us, not pummeling us, not bending us. That’s overstatement, of course. The Museum of Modern Art has often been accused, for example, of diktat. Michael T. Young: The poems “Manhattan Reef,” and “By the pool of The Frick,” suggest an apocalyptic outcome, such as rising sea levels, if we don’t face what art confronts us with. What do you see as that confrontation? What connects the problems of climate change to the insights of art? Djelloul Marbrook: I think I’m saying that our greatest treasures must not be taken for granted. They can be swept away; they can be drowned. The earth is always shaking off our ill effects, always trying to repair the damage we have inflicted. I don’t see apocalypse in the end-time context that fundamentalists do. To the Romans their fall to the barbarians was apocalyptic. To the Byzantine and Amazigh cultures the arrival of the Arabs was apocalyptic. To the Arabs the advent of the Mongols was apocalyptic. I see an ongoing alchemical process in which the cosmos tries to ennoble the elements, the species, over and against our childish notions about religion and significance. I look for the elixir, and in that poem, “Manhattan Reef,” I mean like Magritte or, more aptly, de Chirico, to transform the world by turning it on its head and inside out. I don’t mean it as a doomsayer. I don’t mean it as warning. I mean only to say, It happens; how will we be ennobled by it? “We” in this instance becomes a problematical word, because “we” may not survive in our present form. I believe, for example, that “we” are evolving towards androgyny. Michael T. Young: The poem “Distraction,” in the first section and the poem “A naming spree,” in the second section both address naming as a vital, although perhaps ambiguous act. What do you see as its importance in the collection and how does it relate to art? Djelloul Marbrook: It was my experience as a journalist that heightened my awareness of naming things. And perhaps it was my own difficult experience of bearing my “foreign” name in our society; it was certainly a trial, and not the trial of a boy named Sue either. It was a standing invitation to be disinvited. I think our culture not only names things, it pigeonholes them, and once a thing is named and pigeonholed it’s as if it had become unimpeachable, inarguable. For example, terrorists belong to Al Qaeda, never mind the Arab meaning of the word (the base) or the fact that reputable intelligence people doubt its existence. The same is true of the national debt; it’s a disgrace, a threat to our peace and security, even if it has been cut in half, even if we did have this debate at our inception and decided we must carry a debt. We are a society that does not choose to revisit what it has decided, what it has named. Americans should look like the Marlboro Man or Marilyn Monroe, and that’s that. That’s what our childish ethnocentrism is about: we have decided how Americans should be named, how they should look and behave. Naming is dangerous business, serious business. We ought to be at least as careful and mindful as the good poet in choosing words. But we have chosen instead Emerson’s bugbear, foolish consistency. That’s why we have entertained the stupid flip-flop debate. Dwight Eisenhower is famous for changing his mind about the military-industrial complex, but we have chosen to forget that in our zeal to label the inquiring mind a threat to society. As for the place of this consideration in the collection, we’re influenced by the titles of paintings and sculptures, and we’re influenced by the names given by critics, curators and historians. Clement Greenberg says, This is Abstract Expressionism, so it’s no longer allowed to be anything else. Even worse, if the Clement Greenbergs of the world are thwarted in their efforts to categorize a work of art or an oeuvre and it may languish in neglect simply because the hot shot of the moment couldn’t pin it down, like a captured butterfly. We’re reckless namers and categorizers, and we’re always tripping over our own handiwork. “A naming spree” consists of only three couplets, but it’s an important poem to me. I spend a great deal of time contemplating classical and Islamic containers in museums. The idea of containment is crucial to civilization, and predictably it has a dark side. Without amphorae the Greeks, Romans and others were unable to transport things. The unique shape of the amphora conforms to the curvature of their galleys. The Arabs, whose ship designs foreshadowed modern ships, had to rethink the idea of the container. The Arabs were concerned with elixirs and alchemy, so their containers began to take on strange new shapes. I deal with this at some length in Guest Boy, the first novel in my trilogy, Light Piercing Water.The dark side of containment in metaphorical terms is that it seeks to limit and therefore readily becomes a received and suspect idea. For example, the church may be perceived as the container of religion. It limits, defines and controls, the message on its own being considered volatile and dangerous. This is my view of many Christian churches. So the idea of containment is crucial to understanding civilization, and the way we look at containers is crucial to the way we allow civilization to develop. The Arab view was wholly different from the classical view. The Arabs sought to ennoble what was contained. It would be facile but tempting to say the Greeks and Romans had a more practical view, but the Arabs were great merchants, travelers and seafarers, so they can hardly be accused of being impractical. My poetry is rather obsessed with the contemplation of this issue. Michael T. Young: You are quite politically conscious and I think this shows in the collection. What do you think is the poet’s responsibility to society? Do poets have a political responsibility? If so, what is it? Djelloul Marbrook: I am politically conscious, but I certainly wouldn’t require that of other poets. I see a lot of writers deploring the lack of political and social engagement among poets and other artists. I think the complaint is as bogus as the many obituaries of poetry I’m always seeing. A poet does what it’s in his or her nature to do. A poet uses the resources he or she chooses to use. It’s a matter of respecting the gift as it was given. To require this or that of a poet or any artist is an ostentatious display of egocentrism on the part of the person requiring it. It’s also intellectual slovenliness. It says, in effect, I will not inquire into the nature of your work unless it conforms to my ideas. It’s akin to No Child Left Behind— intellectual regression. I think growing up in a boarding school and having a badly fractured family made me aware of politics at an early age. I’ve never been politically adept myself, but I am a keen observer. I found much to admire in small-town politics when I was a reporter. I grew up thinking I would be a great traveler. 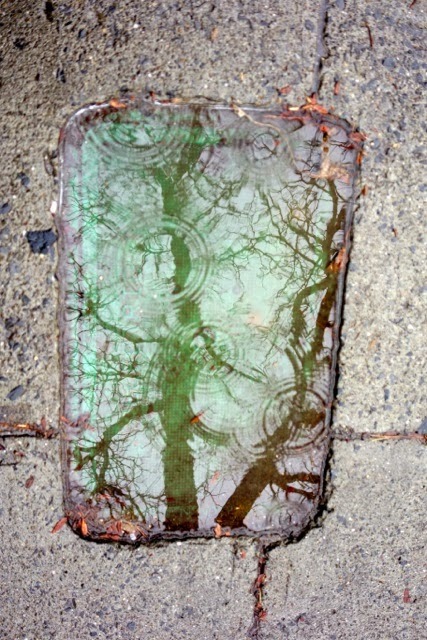 But the truth is I have not traveled well since leaving the Navy, and I find life-sustaining beauty wherever I am, most recently in reflections in manhole covers after storms. 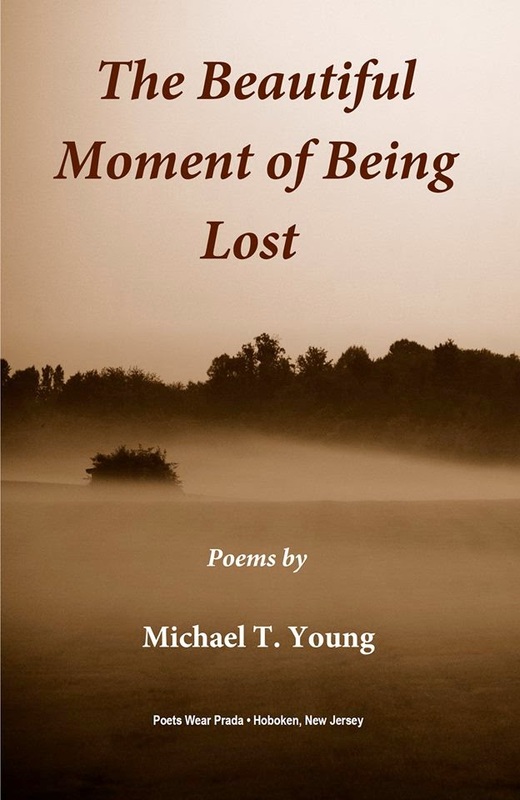 Michael T. Young: What is your favorite poem in the collection? Why is it significant for you? Djelloul Marbrook: My favorite is “The Fountains,” the last poem. Not because it’s the best, but because it best expresses my sentiments about museums. I’m haunted by what goes on when they close. It would be easy to say “Basquiat,” because then I could talk about how amusing I find it that the New York Police Department formed an entire squad to suppress his work. 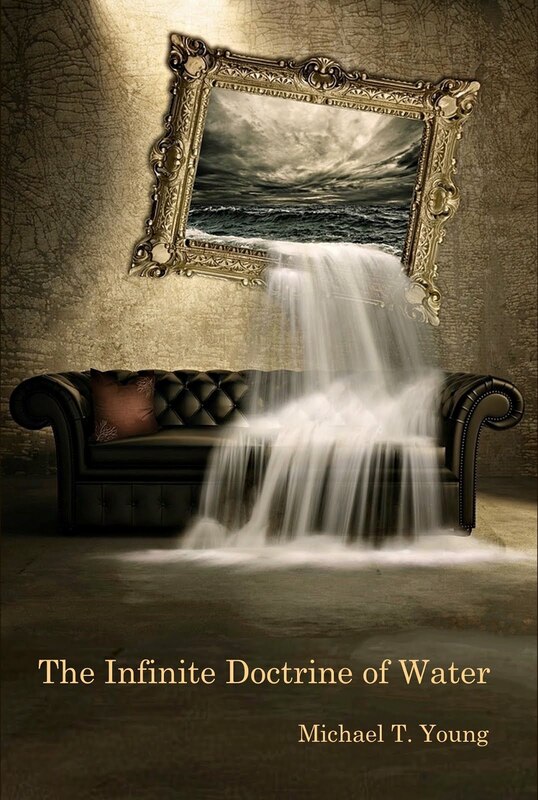 But “The Fountains” expresses my conviction that nothing is what it seems to be and all settled notions about art are suspect: nothing is settled or ever should be. That’s why the determinism in so much of our art and literary criticism turns me off. The hubris of the critics gives criticism a bad odor. They put on pageants of referential knowledge to make a point that arrogates to them more importance than the art they’re discussing. That isn’t true of all critics, of course. But it’s common enough. “The Fountains” also expresses my whimsical view of life. I like to think of the beasties partying at the urinals and bidets. I like to think of the artists making notes and sketches. Djelloul Marbrook: Yes, Mark Helprin’s Winter’s Tale, for one. As you know, it has recently been filmed. A.S. Byatt, Iris Murdoch, Doris Lessing, Margaret Atwood, Glenway Wescott, Ernest Hemingway, Virginia Woolf, E.M. Forster—all are big influences. I should mention Mary Renault’s Fire From Heaven. I’m something of an amateur Alexander scholar, and I find his life haunting in many ways. As a child I suffered from an Alexandrian mindset. I was always asking, Why not? That, and my difficult name, got me in a lot of trouble. I love the story of the Gordian Knot, whether apocryphal or not, because it reflects my own characteristic response to education, which has never served me well in the presence of big egos. 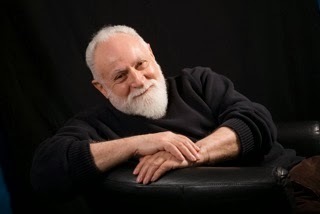 Djelloul Marbrook: Photography, walking, bird-watching, gardening, reading, chatting with my wife, Marilyn. We both used to sail and lived on a sailboat for ten years, but we can’t handle the sail bags anymore. Michael T. Young: Thanks for your time, Djelloul. Let’s close with your favorite poem from Brushstrokes and glances. after their revels and secret rites? where we do not doubt. I would highly recommend Djelloul Marbrook's website: http://www.djelloulmarbrook.com/. And following him on FaceBook. He will keep you well informed not only of poetry but give you many alternative perspectives on current political, social and economic events reported in the mass media. Brushstrokes and glances. Djelloul Marbrook. It would be easy to laud this collection for its lively engagement of art, its history and beauty. But to do only that, as the note from the publisher, the forward and the blurbs all do, would be to miss a large part of what it’s about. 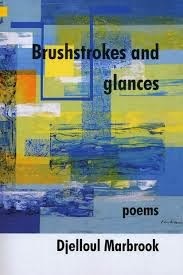 Brushstrokes and glances is not only about art, but about how through art we see ourselves, how it stands as an indictment of much of modern society and how it might redeem us, if we opened our eyes and paid attention. Like good poetry, the poetry in Marbrook’s second collection, is dynamic, engaging us on multiple levels at once. It weaves his love for art with his love for his mother who was an artist, it threads the implicit ideas of permanence with the persistent reality of our individual and collective transience, and, to me, most importantly, it sounds the vacuity of modern society against the meaningfulness of paintings and other artworks. This seems the most important because our culture needs but does not often celebrate or produce poetry that simultaneously engages sociopolitical realities and maintains high aesthetic standards. There are two sections in Brushstrokes and glances and the first could stand as one of the more elegant sociopolitical criticisms of recent years. That’s not all it does, of course, but it is undeniably there and strikingly good poetry. Such poems as “A Government like Caravaggio,” “Goya in iPodia,” “Basquiat,” and “Manhattan reef,” force use to look at the failures of our society while at the same time being pleasing poetic accomplishments. find the simple elegance of a second look. or, just as important, what. If, at times, the music falters or feels like an afterthought, it is redeemed by what seems the stated aesthetic of the poet in several places. The diction here shows that Marbrook was for years a journalist and his need for clarity and truth align him poetically more with an ontological poet like George Oppen than a musical poet like Richard Wilbur. What resonates is not the beauty of a phrase but its clarity, it’s aptness to tell us what we know but don’t have the ability or courage to articulate. So when he says, “the danger of UV/is not as great as seeing well,” we know the environmental dangers of ozone depletion are a consequence of our own failure to seize the day, and know it clearly from the abruptness of the comparison. now let them glisten in museums. I’m reminded of Blake’s spectres, those entities that emerge from the repressed aspects of the psyche. Here, those things in our nature we don’t face when we enter the museum, remain behind to prowl its halls after we leave. The epigraph to the collection provides insight, a quote from Chapman’s magnificent “Shadow of Night.” In the quote, night is “blacke in face and glitterst in thy hearte.” These beasts are the glittering heart, what we must reclaim if we are to reclaim our humanity and perhaps stop our glide toward self-destruction. This collection is another such glittering heart, offering to us a mirror wherein we may reclaim, if we dwell long enough, part of that image that is the best version of ourselves.